An annual financial report of the Association shall be made available at the Library for examination by its members. 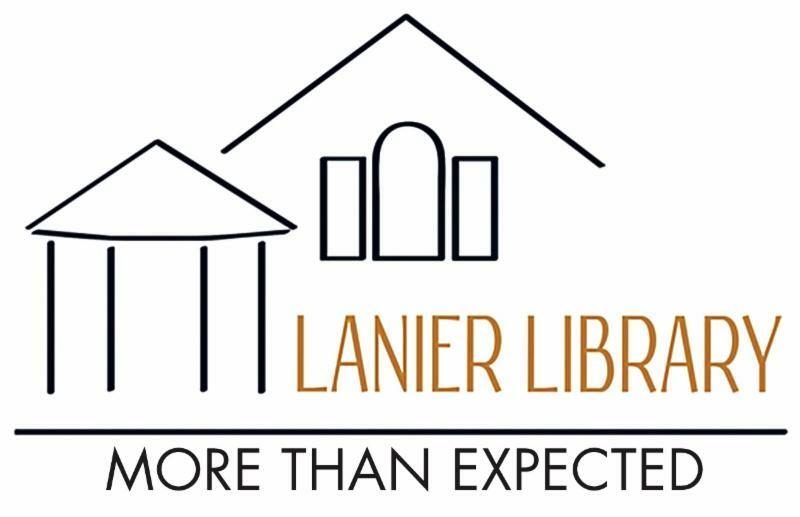 We hope you have enjoyed your Lanier Library membership over the past year. 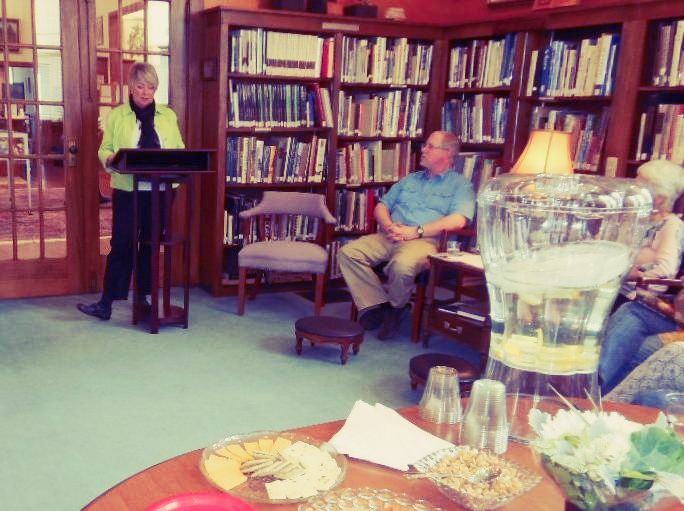 The Lanier Library Board members and staff sincerely appreciate your support of this historic organization. In an effort to help keep our printing and mailing costs down, we are once again sending our 2018 Annual Report via this newsletter. Please take a moment to look over the report at the 2018 Annual Report link here and let us know if you have any questions. If you would prefer a hard copy of the report, please let us know and we will be happy to get you one. If you would like any additional information, please come by the library. We have collected several detailed documents, financial and otherwise, in a notebook for your perusal. 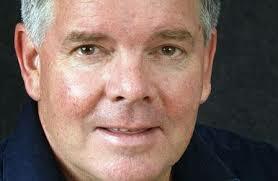 Please join us for a reading, signing and reception with award-winning poet George Bilgere on Saturday, April 27, 4 - 6 pm. Save the date for this not-to-be-missed afternoon with NYT Best-Selling author, Wiley Cash, known for his vivid and deft portrayal of rural southern life and the power that secrets long kept have to disrupt typically sleepy small towns with generations of tangled relationships. In 2012, Cash’s novel, A Land More Kind Than Home, wowed readers, critics and booksellers, including those who sit on the selection committee for the Discover Great New Writers program. A Land More Kind Than Home is a classic Southern Gothic that uses a trio of voices to tell the story of a young man’s coming of age in the wake of tragedy; it’s a novel that is so assured, it’s hard to remember that it’s actually Cash’s debut. This Dark Road to Mercy, Cash’s second novel, takes a less gothic, more noir, turn with the story of a man whose well-intentioned, but ultimately poor, choices endanger his family—and himself. 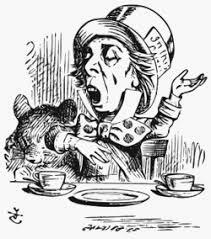 This isn’t a story of black hats vs. white hats; it’s a layered story of living in the grey area, of meaning well and behaving badly, consequences be damned. Cash, 40, says that The Last Ballad, a fictionalized version of the 1929 Loray Mill strike, during which ballad singer Ella May Wiggins was murdered, and his third novel, is the best book he’ll ever write. human emotion – North Carolina’s own Charles Frazier and Ron Rash, as well as Alice McDermott and Cash’s mentor Ernest Gaines. Writer-in-residence at his alma mater, UNC-Asheville, Cash says everything he knows about the art of writing, about American history and about Southern culture are all rolled into this book. Join us on May 5 at the Tryon Fine Arts Center to learn more about Wiley Cash, his writing and, of course, Ella May Wiggins and the Loray Mill strike of 1929. The program will be followed by a reception and book signing at the library. And there may be a surprise.... Cash recently posted on Facebook that he was getting tired of talking about his previous three novels and maybe was ready to talk about the book he is currently writing. We suggested that we would be most interested to hear all about it. Yes, the old green rug with the permanent mysterious footprints are missing from the Holmes Room, home to our extensive mystery books. But there is no mystery. 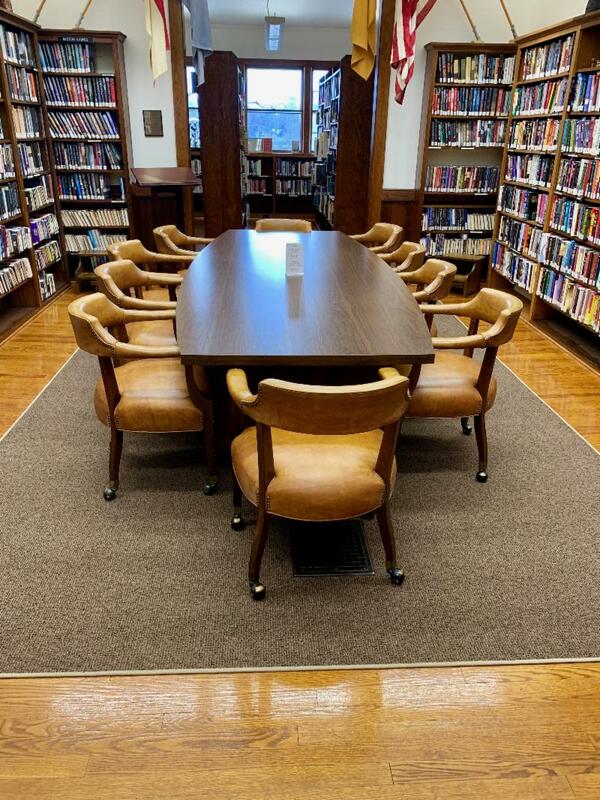 Thanks to the generosity of Tom and Vicky Jackson in honor of Circulation Assistant Sandra McCall a new rug in the Holmes Room allows us now to see more of our beautiful wood floors! Here are the links to our lists of newest acquisitions and orders. Feel free to contact the library to put your name on the hold list for these books. You can call us, come in person, or log in through the catalogue on the website. And, as always, let us know if there is a book or DVD you think would enhance the collection. Check out our latest book display, Women in History, on your next trip into Lanier. Please tell us about your own loves so you can participate in the fun. Just bring a one or two sentence summary about your book and it can join the display and be shared with others who will love it too.. The next meeting of Book Lovers is on Saturday, April 6 at 10 am in the Holmes Room . The meeting is open to all, the only requirements: a love of reading, discussing what you read and discovering new books! 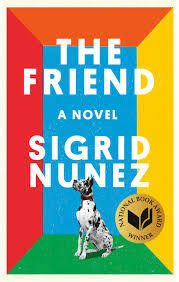 The Friend , by Sigrid Nunez, is a work of fiction, but it reads like a memoir. The narrator, a writer and teacher, reflects on her life-long relationship with another writer and teacher, a man who has just committed suicide and who, in essence, bequeaths to her his dog, Apollo, a harlequin great dane. Incidentally, Apollo is the only “character” in the novel whose name we learn. As the narrator grieves, she recalls conversations she and her friend had about writing, about teaching, about their students, about books that have touched their lives. She contemplates her own loss and the nature of her grief, but that is interwoven with the very real consequences of accepting her inheritance and figuring out how to live in a very small New York City apartment – an apartment that excludes dogs! -- with a very large dog who also appears to be grieving. Having only ever owned one other dog, the narrator has to re-learn the rituals of walking, of feeding, of vet care and grooming, and in this case, of how to help Apollo deal with his own sorrow while she is coping with hers. It’s a touching novel without being maudlin or sentimental as it looks at how to say goodbye to an old friendship and how to nurture a new one. 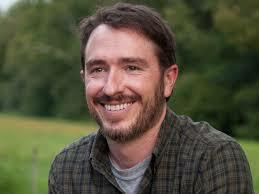 The winner of the National Book Award for Fiction, The Friend is a different kind of read but well worth your effort. 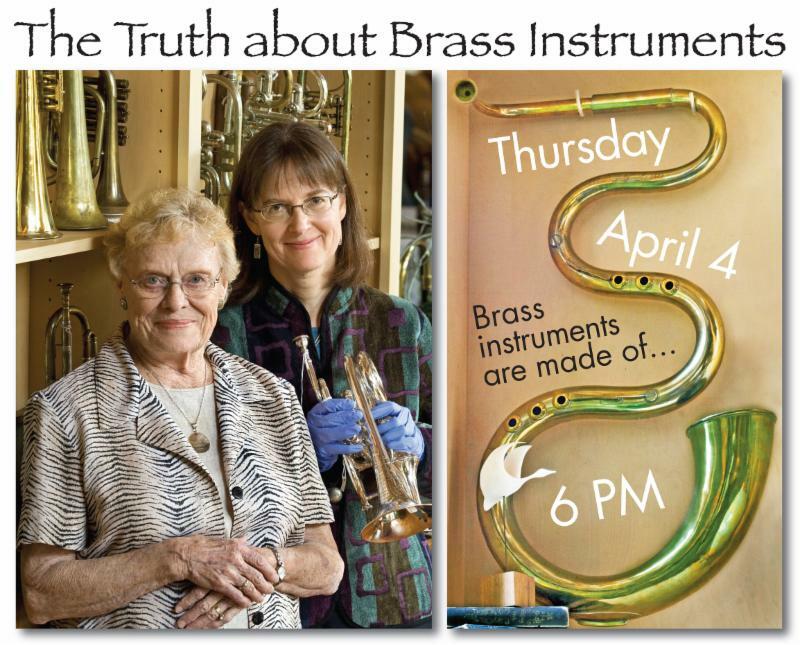 Joella Utley, a collector of brass instruments, and Sabine Klaus, professor of music and curator of Brass Instruments from the National Music Museum at the University of South Dakota join us to discuss Utley's approximately 600 brass instruments collected over the years with her late husband. The collection represents approximately 400 years of musical heritage! Spend a relaxing morning with like-minded lovers of needlework and share your own work. 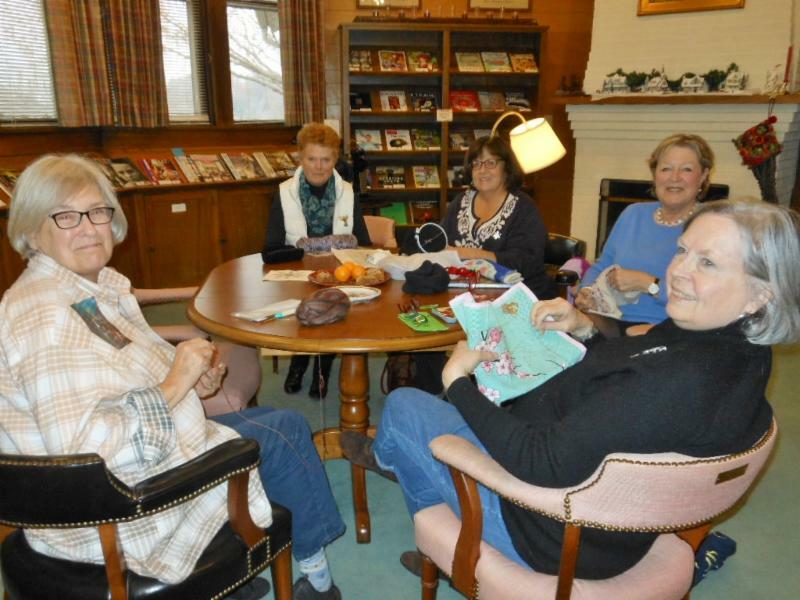 Bring any yarn or thread craft you are working on and enjoy each other’s company for a few hours the second Saturday of each month. 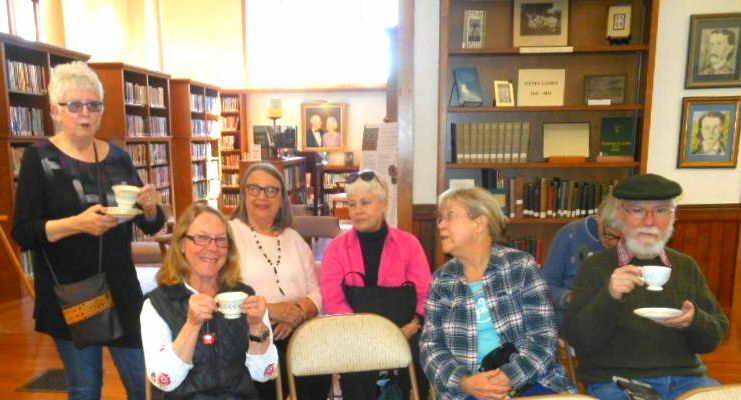 For nonfiction lovers – another club for the library which meets the second Sunday of each month! 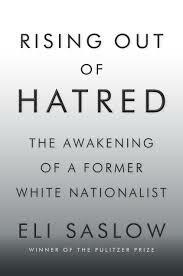 The April book discussion will be on Rising Out of Hatred: The Awakening of a Former White Nationalist by Eli Saslow. .
﻿questions. 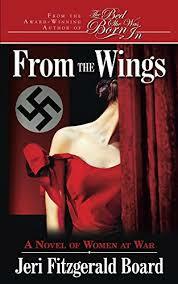 Copies of From the Wings will be available for sale and signing. The Hemlock Restoration Initiative (HRI) will offer a presentation on their on-going efforts to restore hemlock trees in WNC and discuss how the public can help. 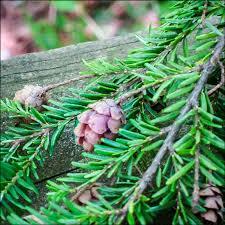 This program is part of our Felburn Nature and Wildlife series. 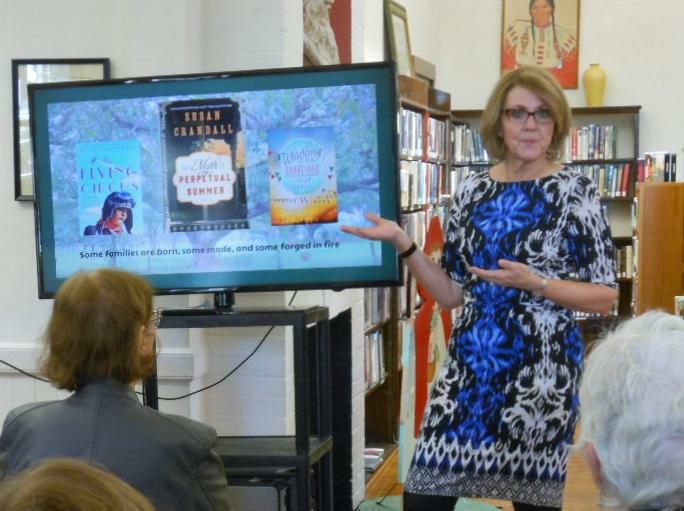 On March 5 best-selling author Susan Crandall talked about her writing and the inspiration behind her wonderful books. 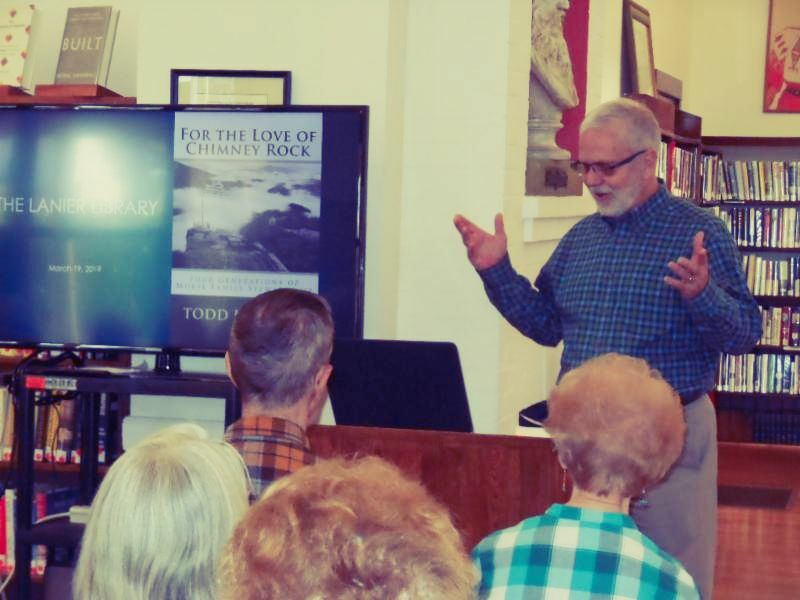 Todd Morse delighted the crowd on March 19 with his stories about growing up on Chimney Rock as the fourth generation in his family's ownership of the scenic attraction. 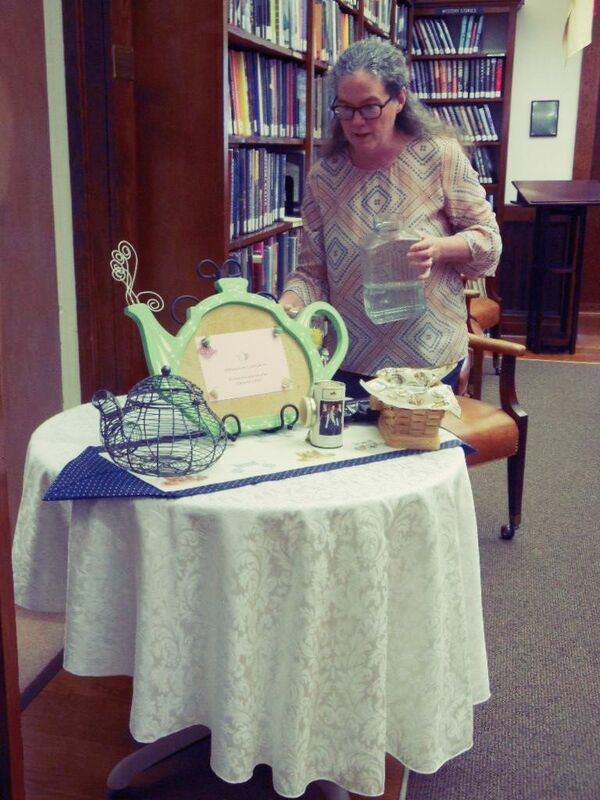 Local author Tonya Penrose spoke about writing her book Old Mountain Cassie at a cozy Sunday Author Salon on March 24. 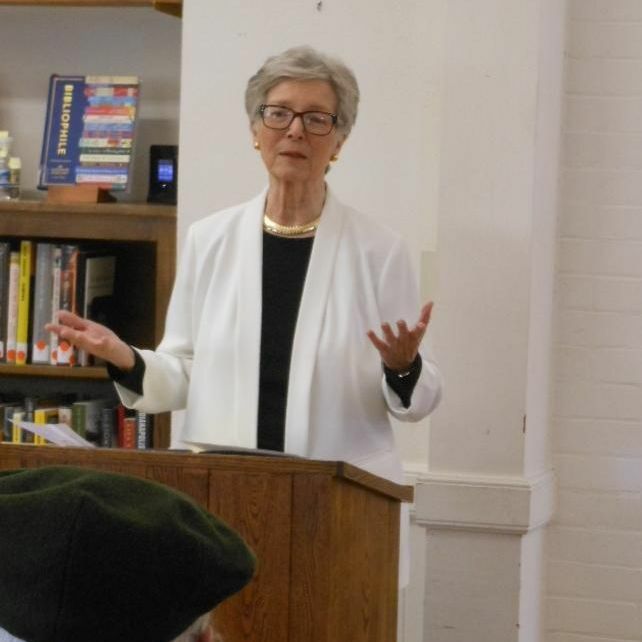 Several attendees enjoyed our March 28 Author's Tea with local author Mary Ann Claud discussing her work on Alex Dances, her third book in the "Dancin' Man" series. 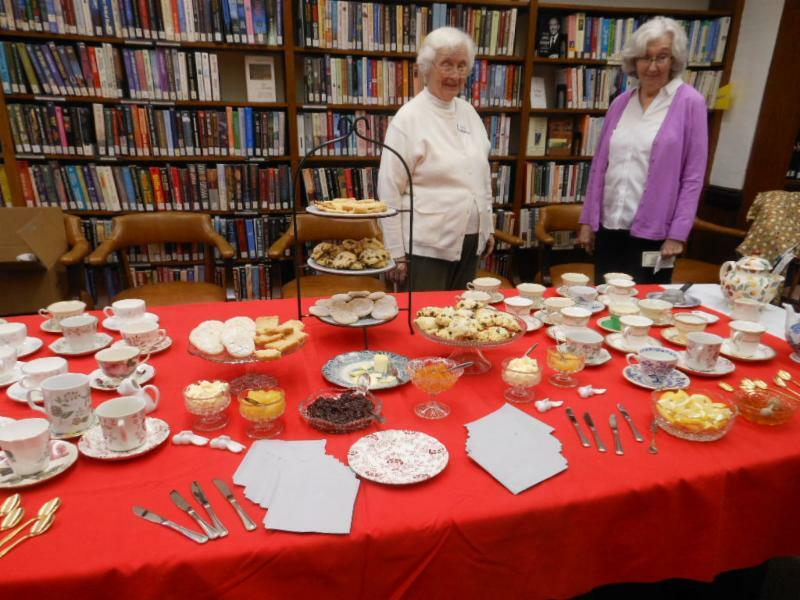 Many thanks to Jane Armstrong, Daphne Sawyer and library staff for pulling together all the essentials of a memorable afternoon tea at the library! Teapots (sans dormouse), teacups, silver spoons, tea and scones, and all the trimmings. 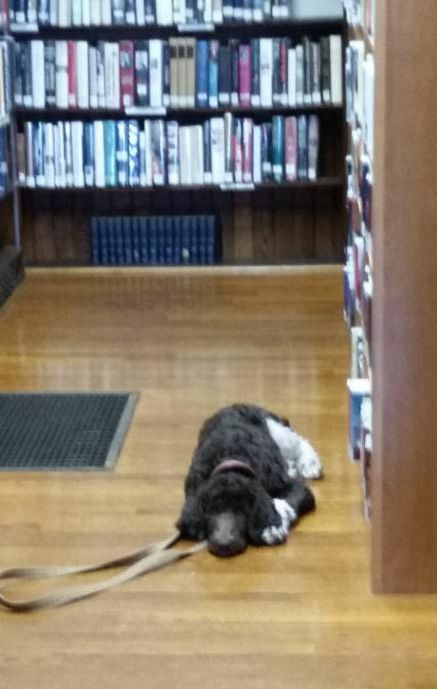 Four-month old Bosco waits while owner Susanne Winslade leaves to choose a DVD. 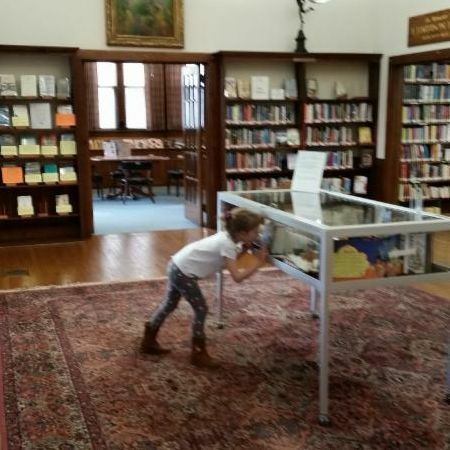 Susanne has been using Bosco's library visits to reinforce home training...with great success! 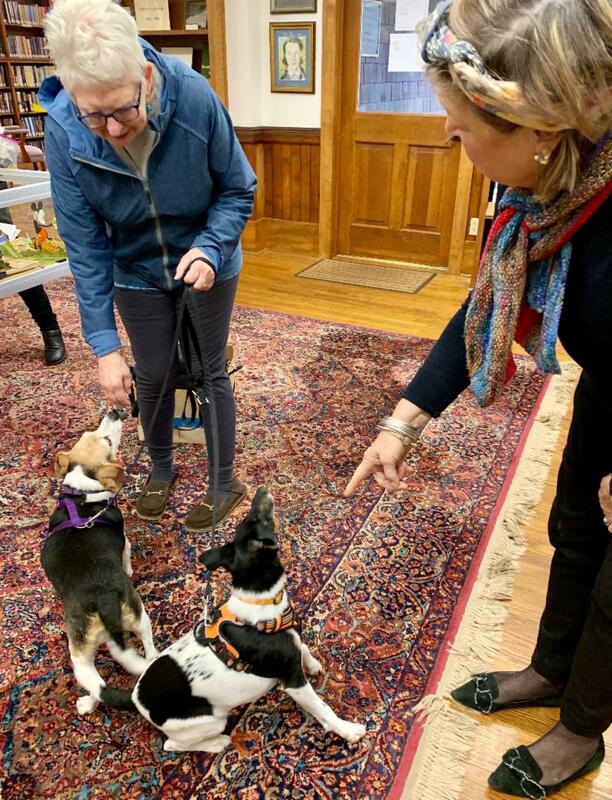 Barb Oklesen and Inglis Selick entertain Daphne Sawyer's pups, Rocky and Lucyloo while Daphne installs her March Pop-Up Book display. 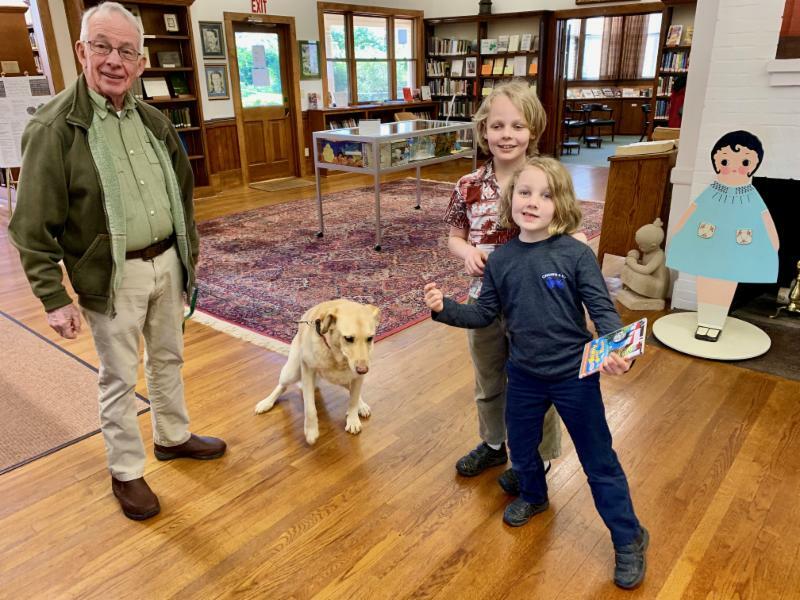 Steve Aldred and Lanier Greeter Dog Nick enjoy meeting Rooney and owner Margaret Freeman. 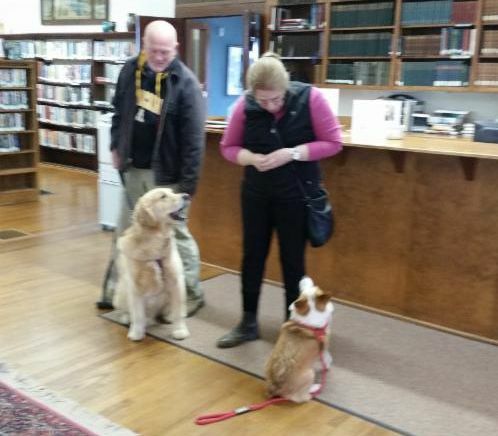 Nick likes to point out that there are treats for well-behaved library friends...and he'll have one too. David Maxwell introduces Molly to the handsome Price brothers: Julian and Thelonius. We are pleased this month to have on display from the collection of Mike McCue examples of the musical works of poet and musician Sidney Lanier. 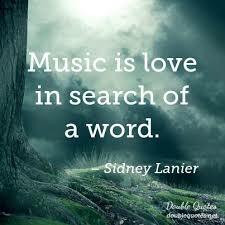 Of all America's best-remembered poets, only Sidney Lanier was also a composer and professional musical performer. As a youth in Georgia he played flute skillfully. As an adult he was employed in Baltimore's Peabody Orchestra, while teaching at Johns Hopkins University. There he worked to develop a new unified theory of music and verse. 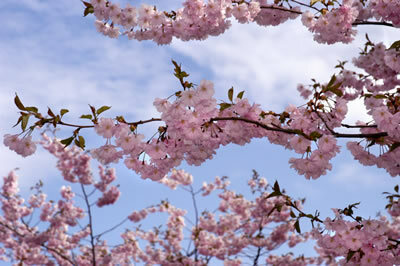 In 1876 Lanier was selected to write the grand cantata at the opening of America's Centennial Exposition in Philadelphia, sung by a chorus of 1000 with full orchestra. Heard by a quarter of a million citizens and President Grant, it was the poet's greatest public triumph. Five years later Lanier died of tuberculosis at the Wilcox cottage in Lynn, near Tryon. This display includes some of Lanier's own published oeuvre, plus examples of later works about his life and creative ideas. 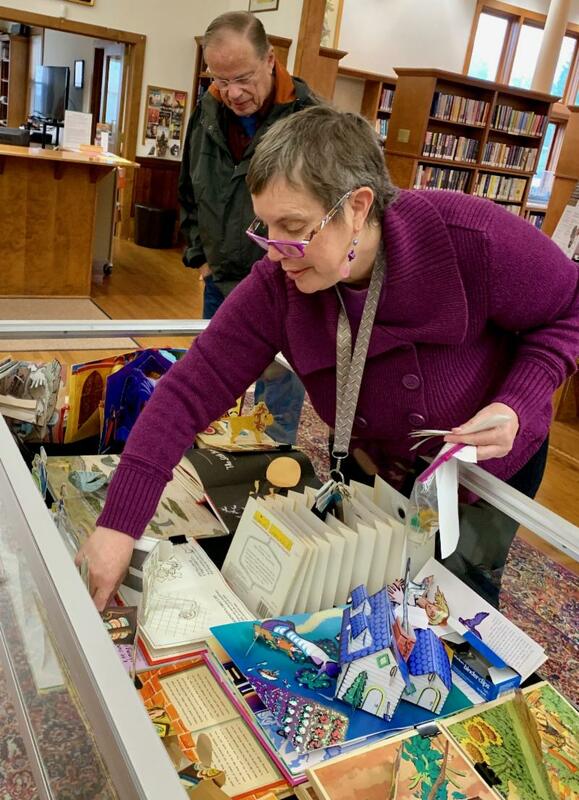 The delightful and beautiful pop-up book display from Daphne Sawyer in March was a huge hit with all who came to see it, even as it was being installed, or popping in, as the case may be.